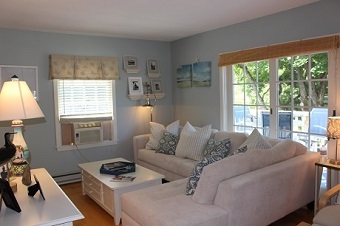 Live in the heart of Ogunquit Village from September to June! Ogunquit is a beautiful village, especially in the "off-season" Imagine spending 9-months in this pristine, second floor unit in one of the most charming towns in Maine (without the traffic of summer). 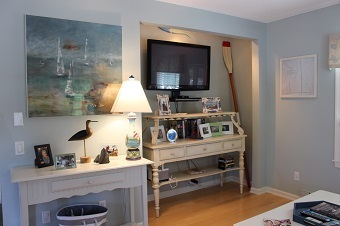 Never before offered, this pristine condo is situated in the heart of Ogunquit, walking to the village, Perkins Cove, the renowned Marginal Way and the vast white sand beaches. Offered at a low winter rate, this comfortable condo offers an open-floor plan with kitchen/dining room and living room open and airy. Furnishings are in great condition and décor is tasteful yet minimal (no clutter here). The Master bedroom and adjacent full bath is separated from the main living area through a set of "saloon doors" to the private quarters. A guest bedroom, located on the second floor is accessed by a spiral staircase to a comfortable queen bed. Highlights includes skylights, soft soothing wall colors and an en-suite bath. 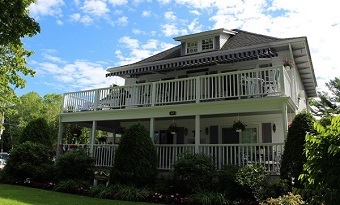 The oversized porch is adjacent to the dining and living rooms with two sets of doors. Application-Credit check fee of $25 per adult required, no exceptions please. Applicant must provide income verification and agree to agent contact with former landlords. Security Deposit of $1,600 is due with acceptance of application. No commission fee charged to tenant. Property ID JKW-CAN. All of the properties represented are non-smoking. Pet deposit determined per pet. Agreement must be signed by tenant.